OLD PARKED CARS. 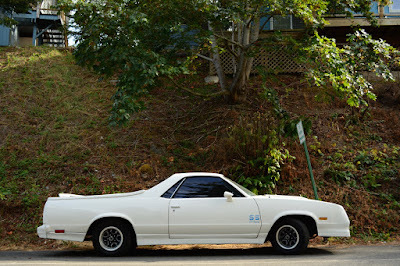 : 1984 Chevrolet El Camino SS Choo Choo. 1984 Chevrolet El Camino SS Choo Choo. you can't just post this and then not say anything about it. Fantastic car! :) Congratulations for you! "turbina" is a spambot, I think. These Choo Choo Customs conversion Elcos are badass, I figured one would end up on OPC eventually. I don't think it's really possible to get more 80's than this. 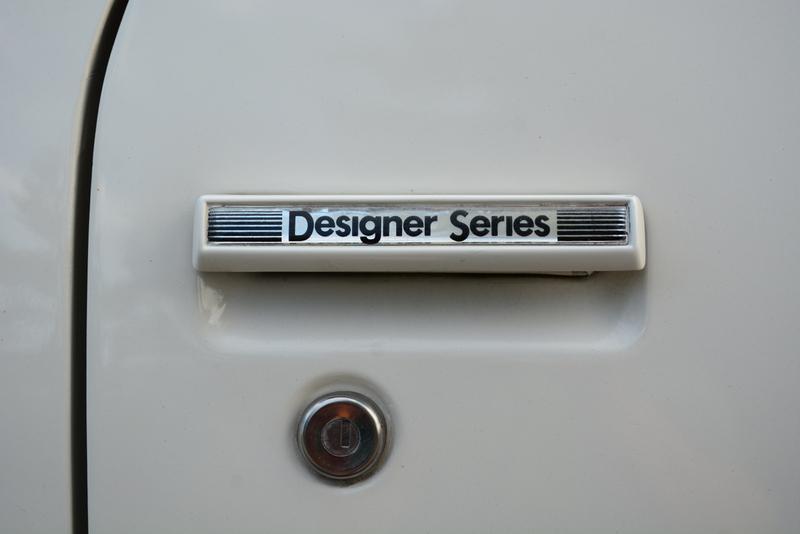 The "Designer Series" tag is like the "members only" jacket for your car. The F-Body carried on this car's overhang legacy. Oh come on Sneaky Pete, you think I'm gonna make it that easy? I was actually hoping more people would be mad at this and request the Nash. But dang, all you guys get it so good. 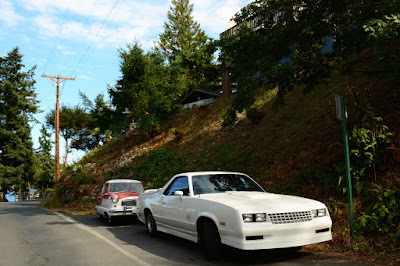 so much 1980's California custom in 1 car. nice little nash metropolitan in back too. Am I aloud to ask what street this is? Have you ever looked for cars near the Twilight Cullen house? 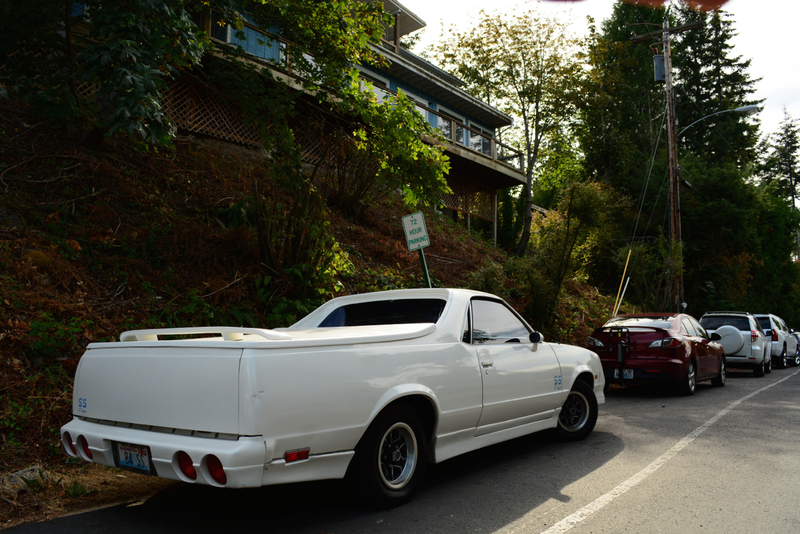 It's at the very end of Quimby St, right past NW 33rd. Ave. I don't care about the movies although the house is nice and the neighborhood, Willamette Heights. There could be a hidden gem(s) there. Your blog is the best source of information! i definitely think cocaine and quaaludes should get some of the design credit here. a pic of the CCC recertification decal would be nice.